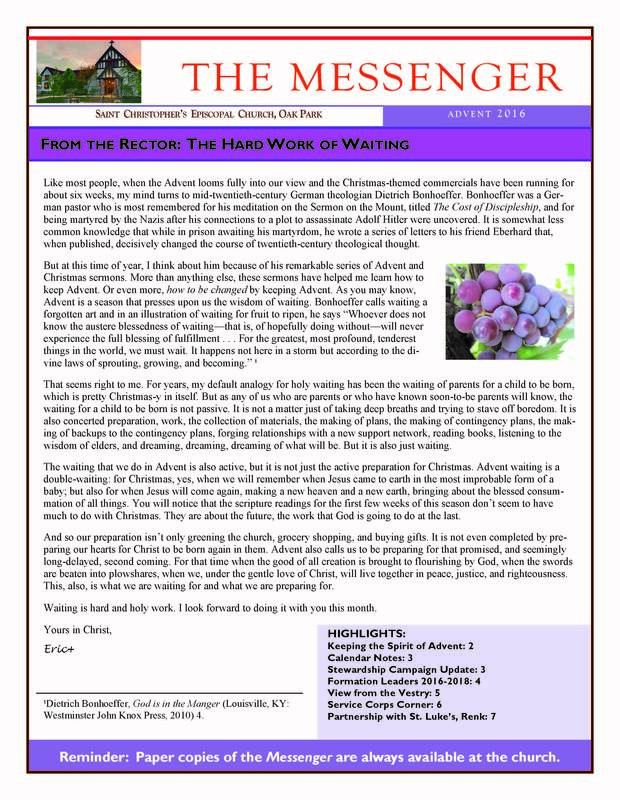 Click the newsletter on the right to download the current month's issue. Please contact the church for archived issues. 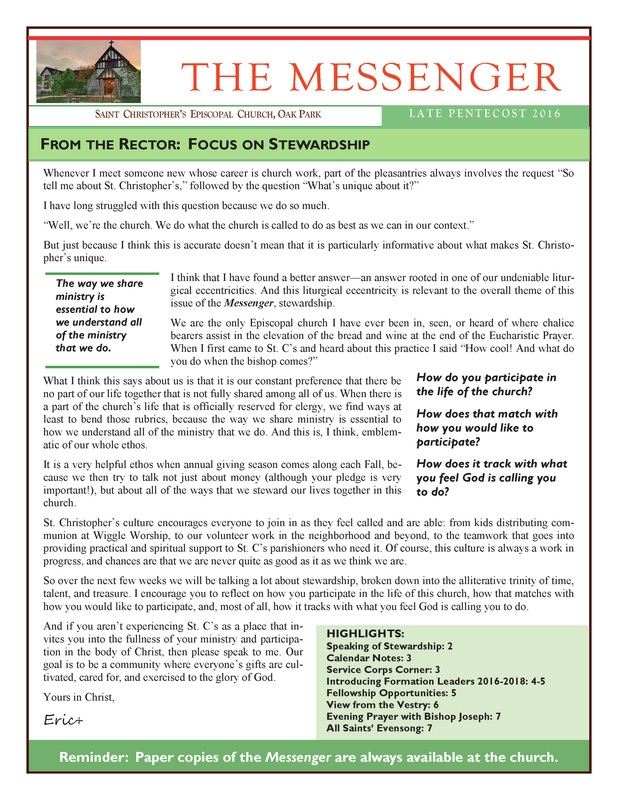 Note that the Messenger is in PDF format, which may require Acrobat Reader. If Acrobat Reader is not installed on your system, click here for the free download. to see what's coming up!